Mobile handset-maker Samsung Electronics Co. Limited has launched Corby TXT (model no B3210) and Corby Mate (model no B3313), both message-centric mobile phones for heavy text users, in the Indian market. 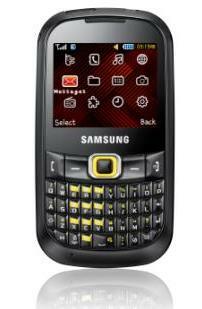 This follows the company’s earlier launch of Samsung Corby (model: S3653). “These phones are designed to meet the heavy messaging needs of youth, with their QWERTY keypad for quick messaging access, easy e-mail set up and quick access to popular social networking sites,” Samsung Electronics Director IT & Telecom Ranjeet Yadav said. The focus with the Corby series been to offer our consumers choice: choice in terms of the colour of the handset, choice over how they stay connected and choice over the features and functionality that best suit their unique personalities and needs to stay connected, he added. Both Corby Txt and Corby Mate are message-centric mobiles for heavy text users with SMS and Instant Messenger (IM) features. Buddy List (speed dial favourable numbers), Chat Style SMS, Easy E-mail Set up wizard, Instant Chat Messenger and Popular SNS Sites are other features. The handsets also support various social networking community sites like YouTube, Flickr, Picasa, Photobucket, Facebook, MySpace and Friendster. Users can upload photos and videos to user generated content sites through Communities solution.